A FORBIDDEN BOOK THAT DOESN’T INCLUDE CHEATING? OH OK, SIGN ME ALL THE WAY UP! I loved Birthday Girl. Shamelessly and completely. It feels so good to say that! Anything that is powered by drama and angst and mixed in with forbidden desires is just for me. Especially when I mix up my reading genres, I’m so happy to have read this one at the time that I did. I hadn’t read a steamy read in quite some time so it was almost refreshing for me. The chemistry in this book is undeniable and probably my most favorite thing about the entire story. The way Penelope made you fall for Pike and Jordan being together was definitely my favorite thing about this book. She didn’t rush it and she didn’t make it awkward for the reader and she made the burn so slow you actually end up craving them together. It was palpable. I was ready for it, I was all hands-on deck! The dual POV was a nice touch to this story. I enjoyed the scenes that were from each POV, it just added so much more to the story. The resilience and strength of Jordan was shown not just in her POV but in Pike’s also which I loved. Loved that he seen it and that the supporting characters around her could see it. She really was a great character. She had just enough push and pull in her to fuel a good story. I love how the story line came full circle. I felt complete once I finished the entire book and had the hugest smile on my face. 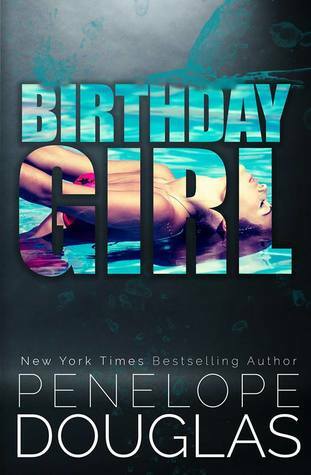 I know I can always count on Penelope when I need a good time or in this case a very hot and steamy and drama filled good time. So, in my opinion, this book lives up to the hype. Without a doubt. Pick it up when you want something to read and can’t find anything.